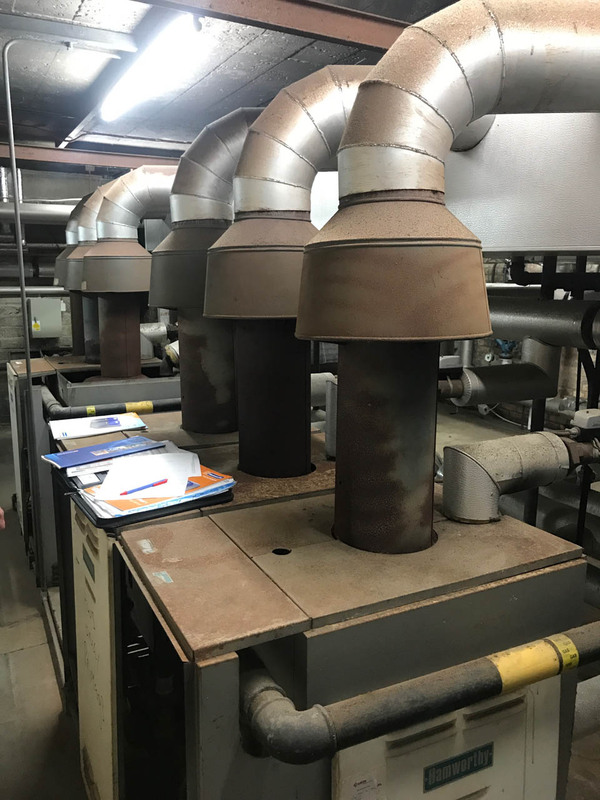 Remove 8 existing 20+year old Hamworthy boilers & 1 Hoval calorifier, strip out existing pipework & plant equipment. 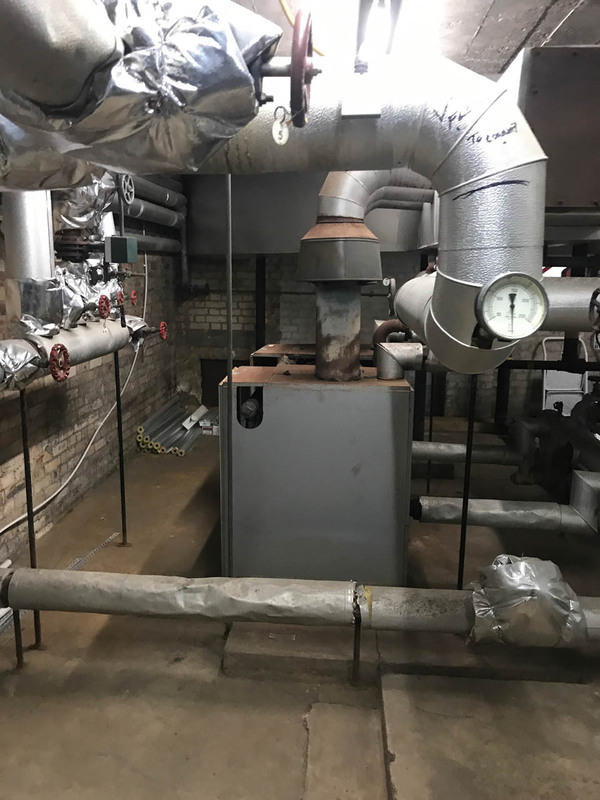 Extend the concrete slab to accommodate new equipment. 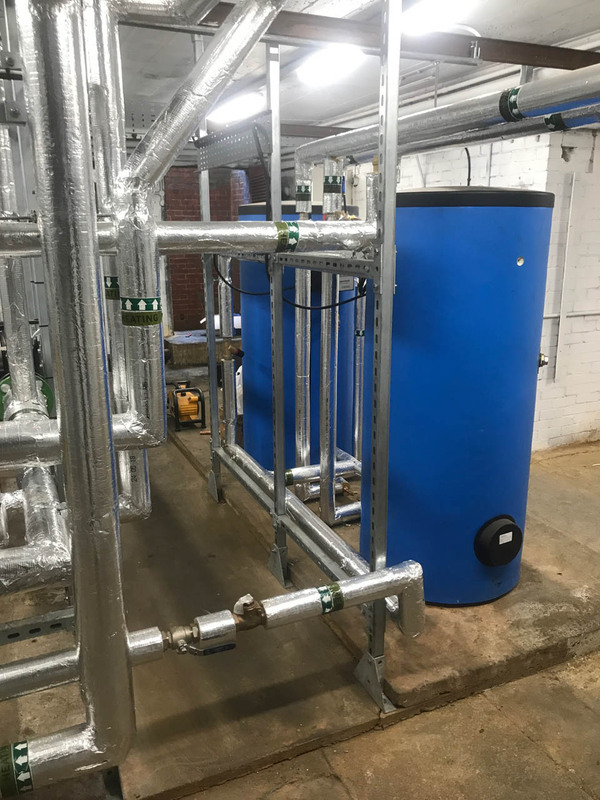 Install 2 x Hamworthy Powerstock 400l calorifiers complete with recirculation pumps. 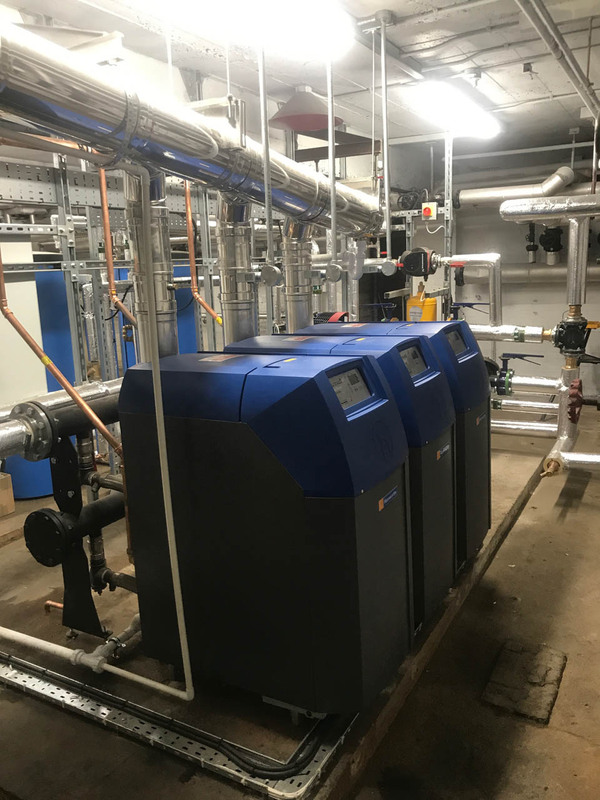 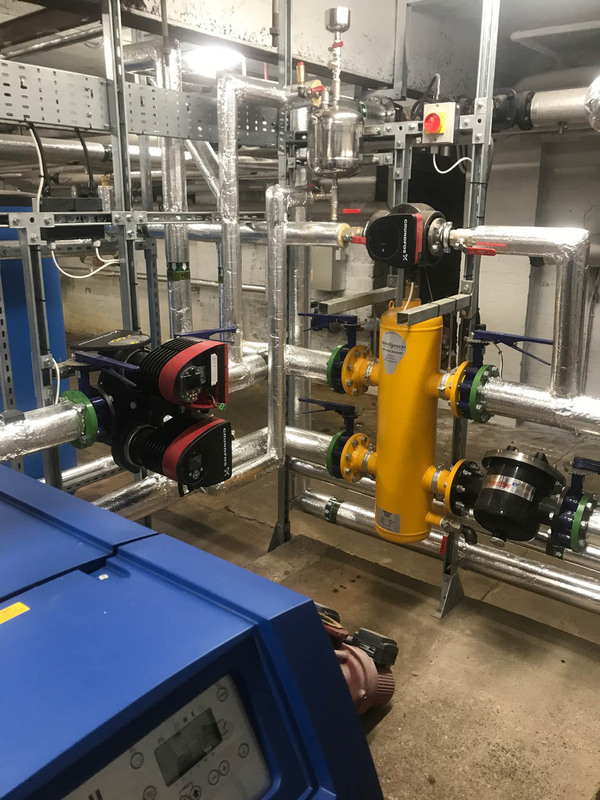 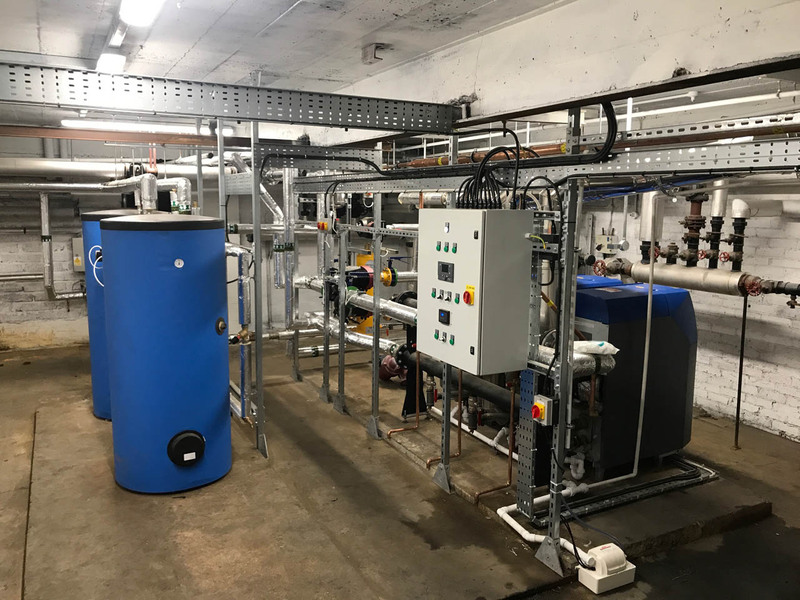 Install all new primary and secondary connection pipework, spirocross combined low loss header, air & dirt separator, Grundfos manga 1 & magna 3 pumps complete with weather compensated heating controls. 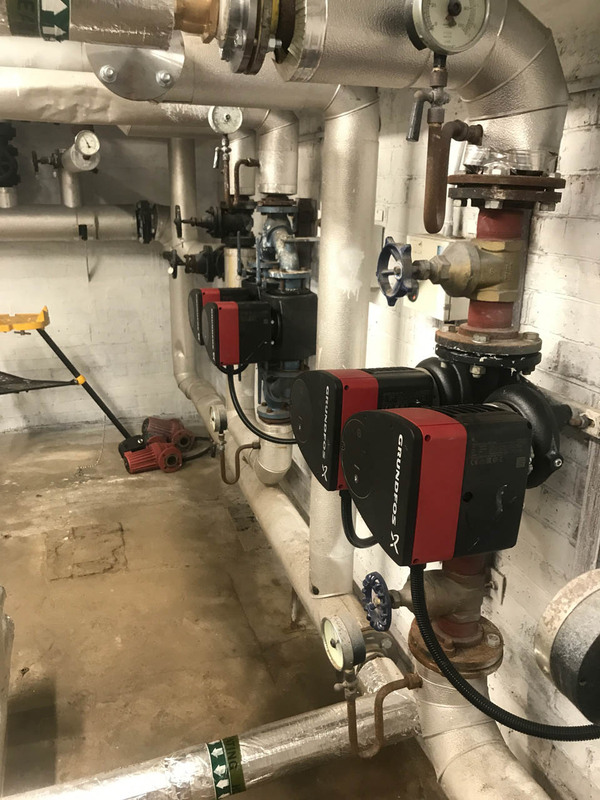 New electrical control panel with analogue switches for ease of use and control.